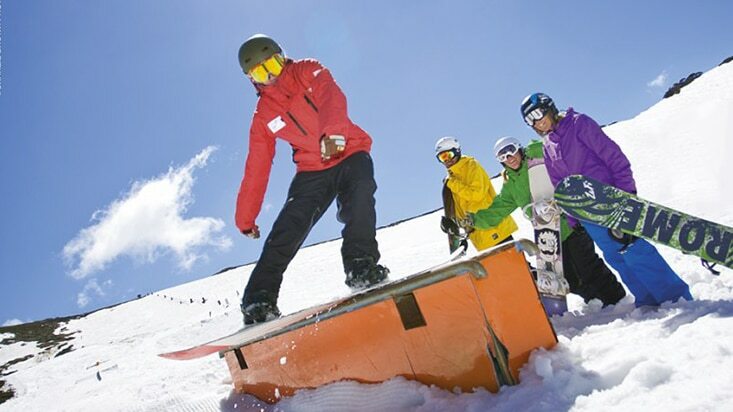 Falls Creek is regarded as one of Australia's top boarding spots, with highly experienced boarding instructors to match. Meet up with other boarders of similar ability and you'll be cruising in no time. 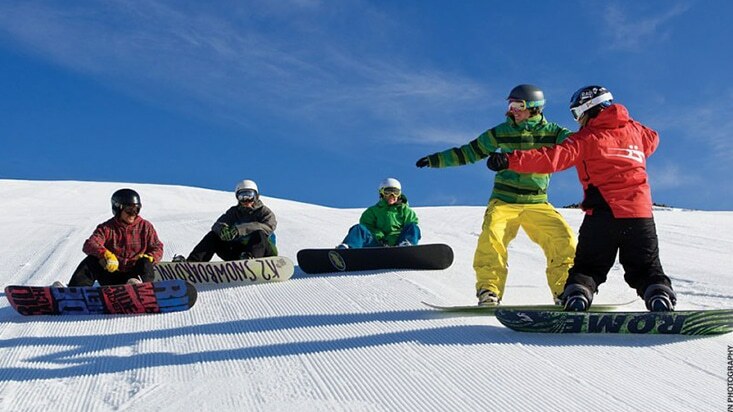 Your experienced boarding instructor will have you cruising the best runs for your level, with no lift lines, as you take advantage of the Snowsports School express line entry. For the day of your lesson you will need a Snow Pass with a Lift Pass and Snowsports School Lesson pre-loaded onto your Snow Pass. You can do this all via the estore. You will also need to be suited up with your snow gear, skis and boots (if you are renting make sure you organise this at least the night before). The meeting point for all lessons is at the front of Cloud 9 - this is at the top of the Halleys Comet chairlift. Programs for all standards commence at 10:30am and 1:30pm daily. Morning programs run for 2 hrs 20 min hours with Afternoon Super Sessions running for 1 hr 50 min. Check in at least 15 minutes before the start of your lesson. Joining the Halleys Comet line in Slalom Plaza 30 minutes before the lesson start should give plenty of time. If there are 2 people or less, the Morning Group Programs will run for 1hr 20 min and the Afternoon Super Sessions will run for 55 min. Adults & Youths participating in group programs will need a valid lift ticket or season pass to participate. Multiple sessions must be purchased for the same guest. Adult/Youth group sessions start daily at 10.30 and 1.30pm. There is an additional New Skier/Rider Beginner Program starting at 12.00 noon daily. Senior & 65 years plus. Must produce proof of age to purchase product and receive 50% off the Adult/Youth Rate. Only Group sessions are discounted for Seniors. All Snowsports School Group Program products will require you to choose your session time and specify if you are skiing or snowboarding. During peak periods, 10.30am group sessions are subject to availability. We have never boarded before or would like to start from the very beginning. If you’ve never boarded before join the Learn to Ride program. This reduced price pass and lesson combo lets you access the lifts best suited to beginners and opens up new terrain as you progress. We can sideslip on one or both edges. We will further balance on both edges and develop direction and speed control. We can do falling leaf and traverse across the hill on both edges and do a controlled stop. We will learn/improve single turns on both edges. We are comfortable on green terrain like Drovers Dream and would like to try a blue slope. We can do single turns on both edges. We will develop our linked turns on green runs. We can link turns on green runs. We will learn to refine our riding technique on blue runs. When ready, we can try some basic freestyle in the Terrain Park. 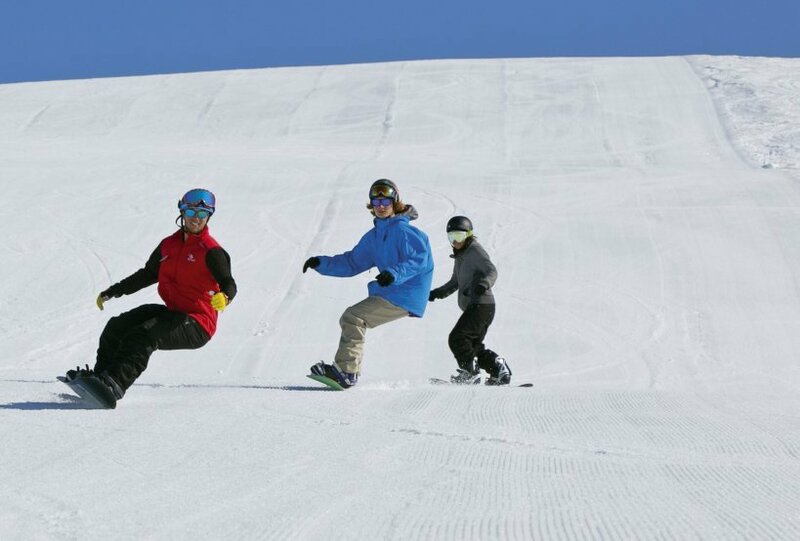 We are comfortable on blue terrain and would like to try a black slope. We will learn to ride steeper terrain and learn switch. We will learn flat-land tricks, basic carving and basic Terrain Park etiquette. We can turn confidently on black terrain, ride switch on green terrain and are competent in hitting basic Terrain Park features. We are comfortable on all black terrain and would like to explore the off piste.